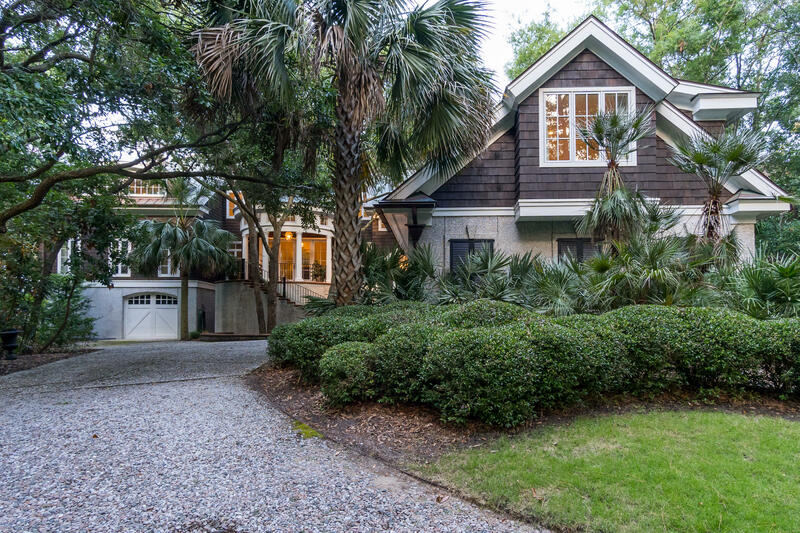 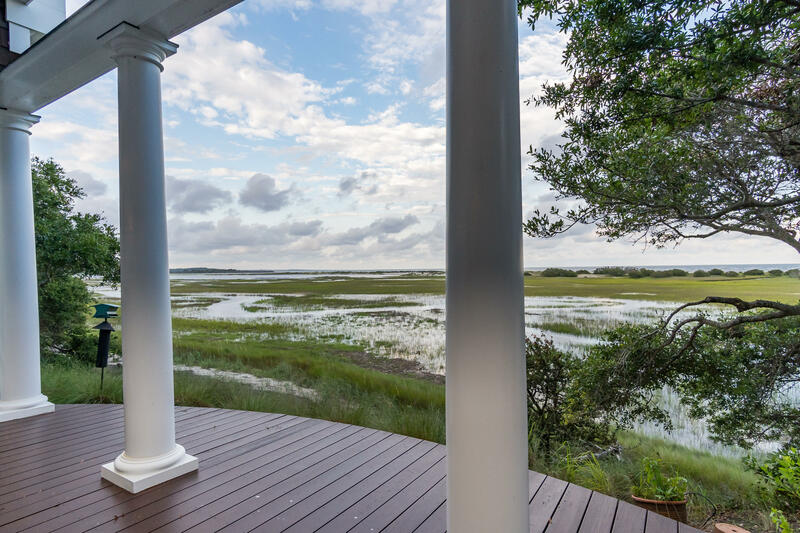 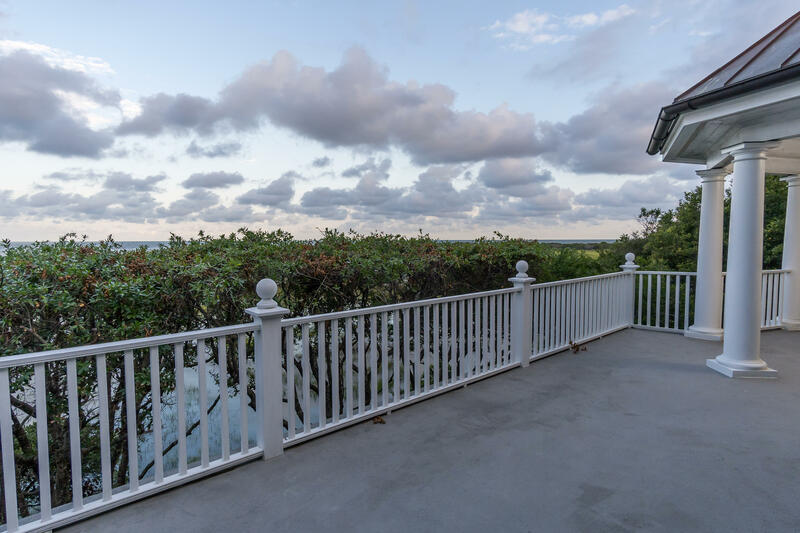 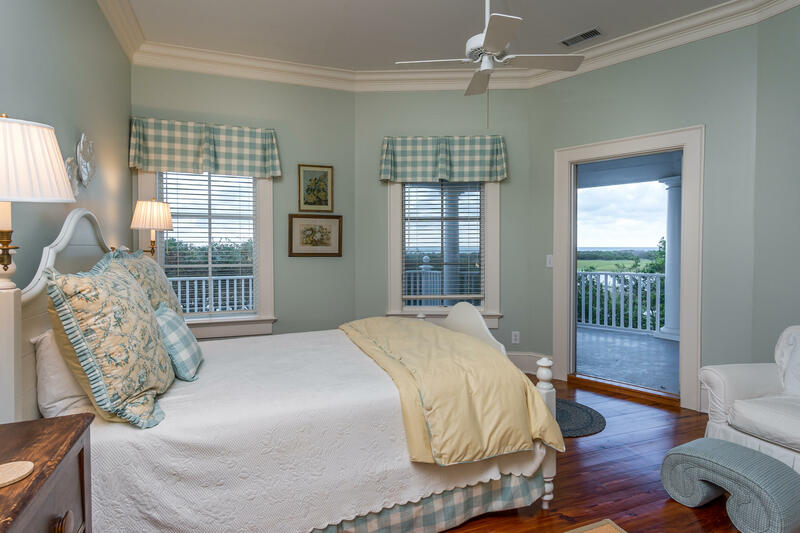 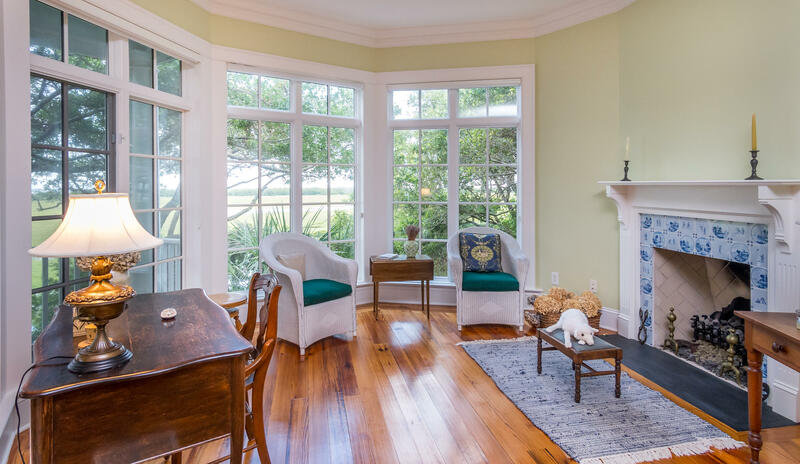 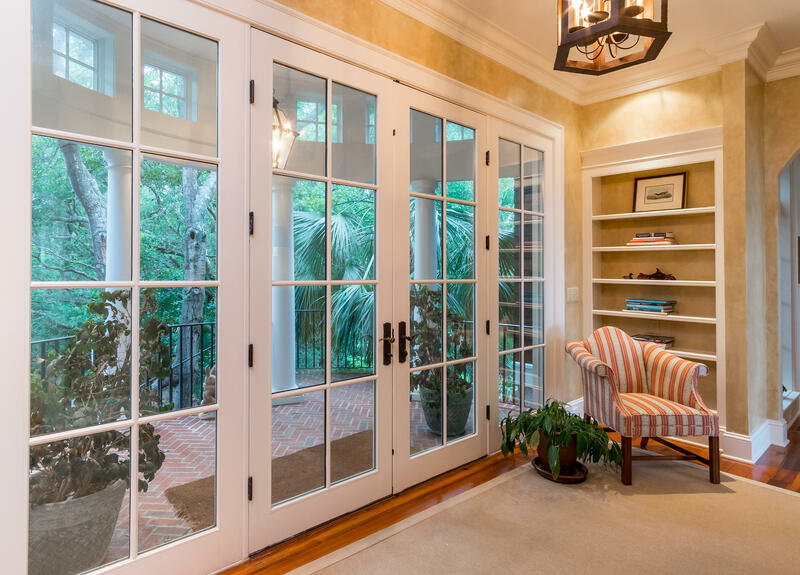 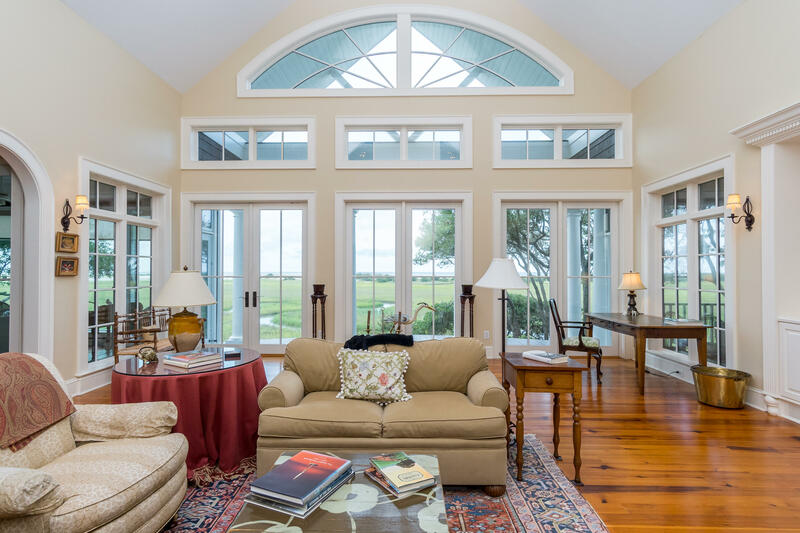 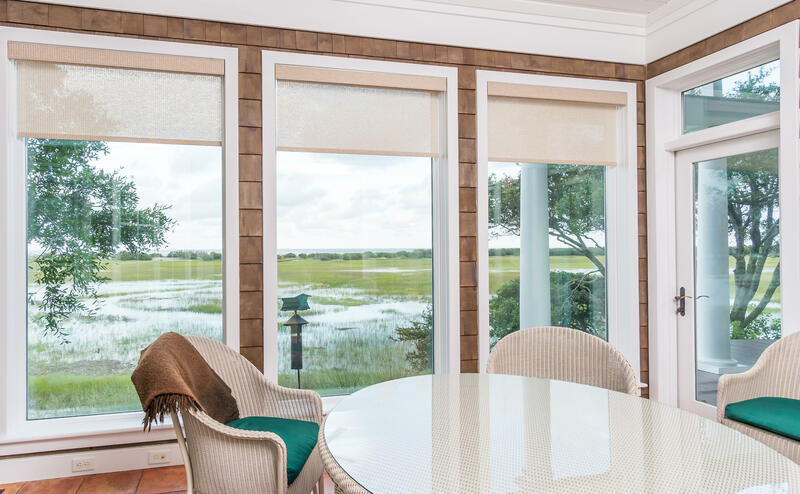 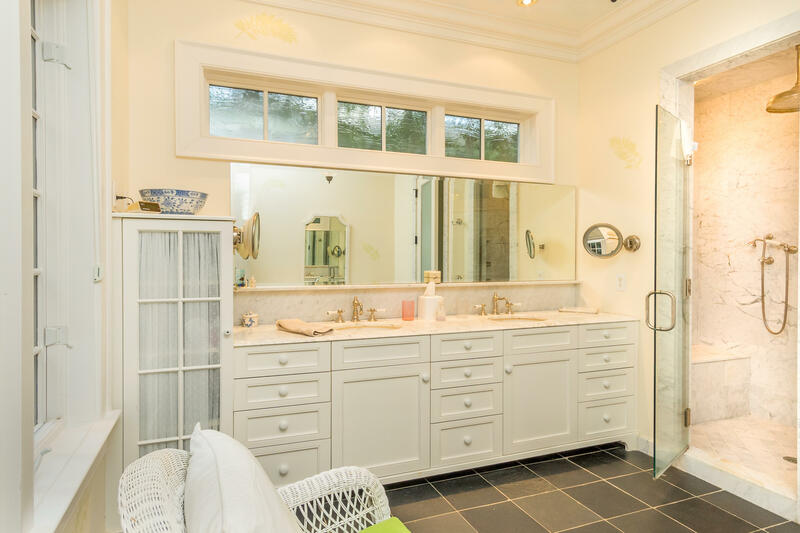 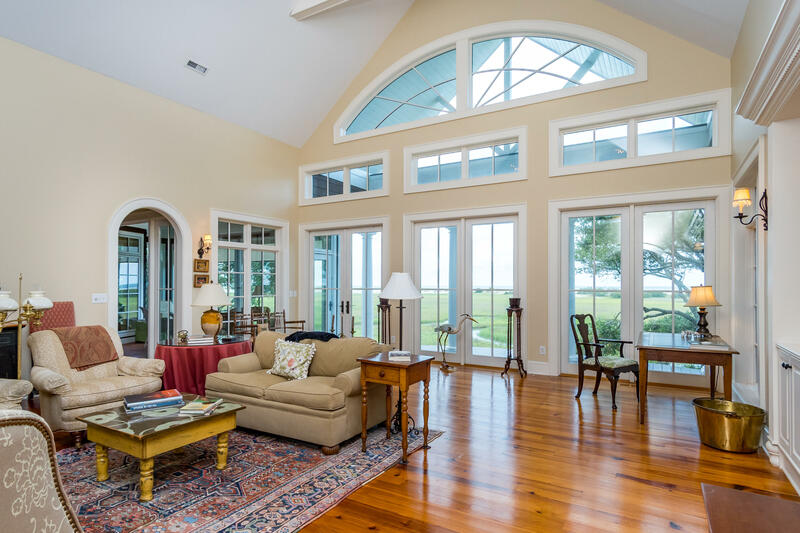 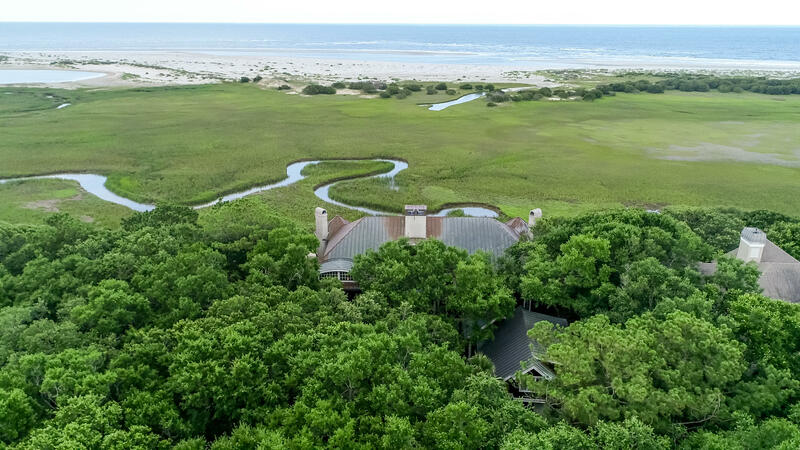 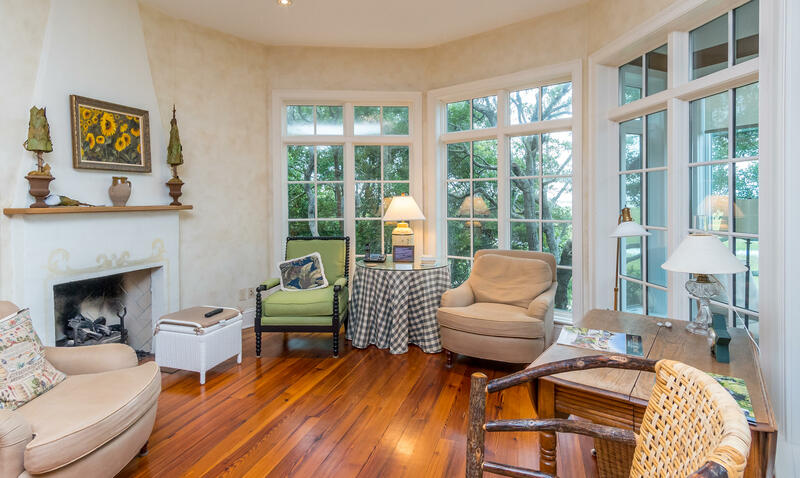 This elegant and private ocean view home in the Ocean Pointe enclave at Seabrook Island offers over 6500 Sq Ft of living space, spectacular southeast views of Seabrook and Kiawah beaches and a custom designed interior layout. 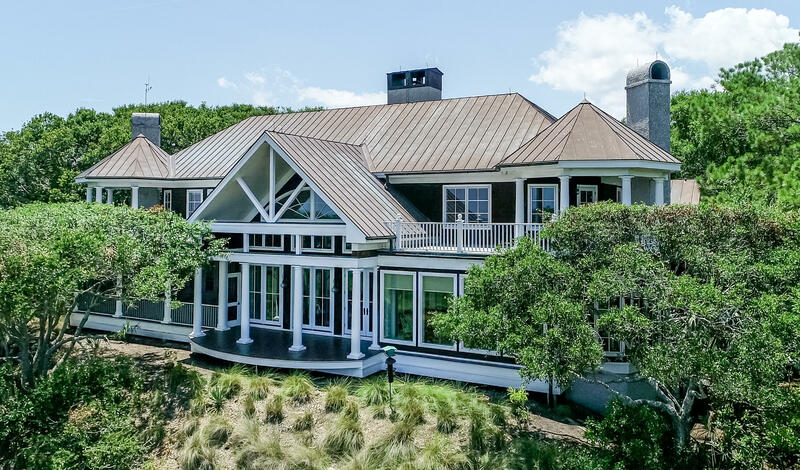 Built by a well known local luxury homebuilder and engineered to last a lifetime, the home affords 6 bedrooms, 5 full baths, over 1500 Sq Ft of outdoor decking in addition to sunrises and sight lines that need to be seen to be believed. 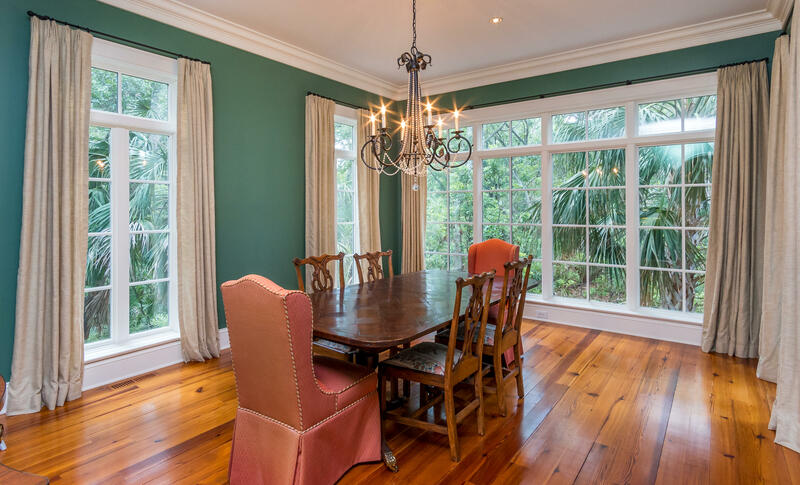 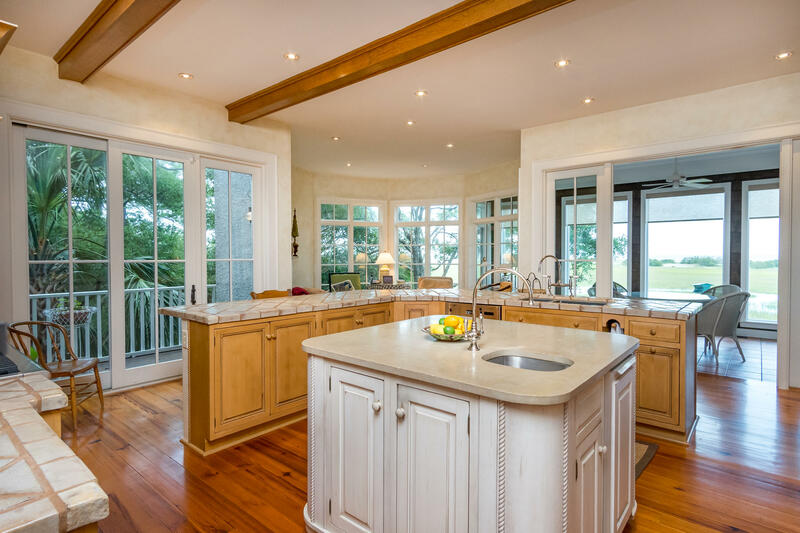 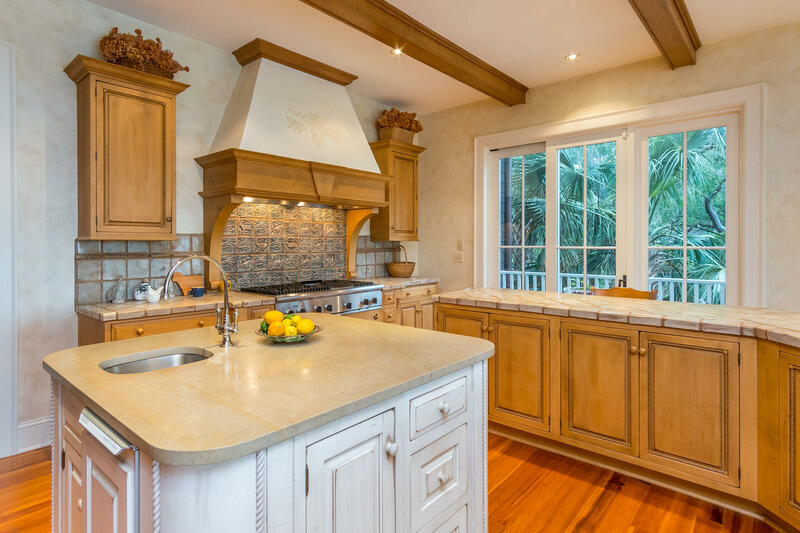 The gourmet kitchen with two islands opens to a sunroom, fireplace and an enclosed eat in breakfast room with floor to ceiling windows allowing natural views of the marshes and ocean. 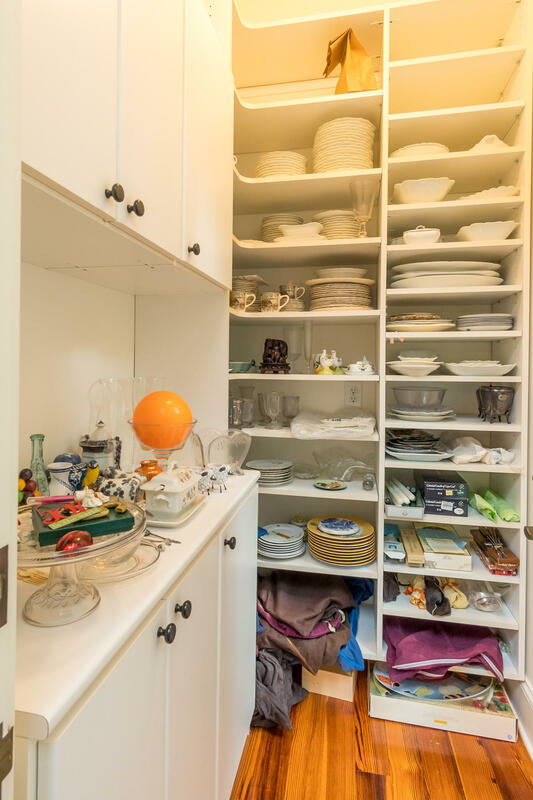 A full private dining room with large walk in china closet is adjacent to the kitchen as well. 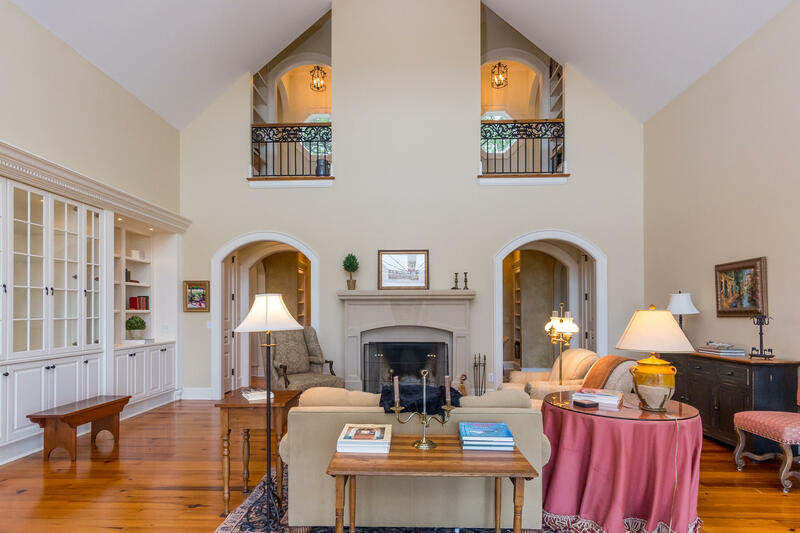 Completing the main floor is a spacious open living room with fireplace, bookshelves and entertainment enclave. 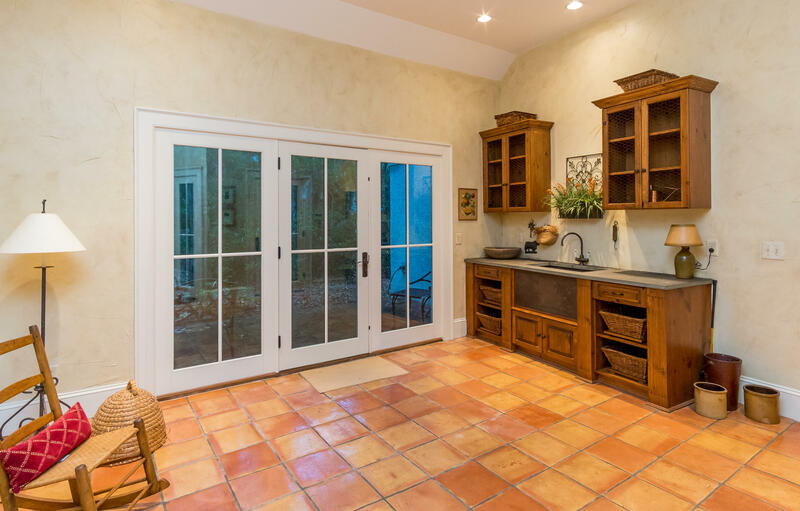 The laundry room, pantry and powder room are also on the main floor. 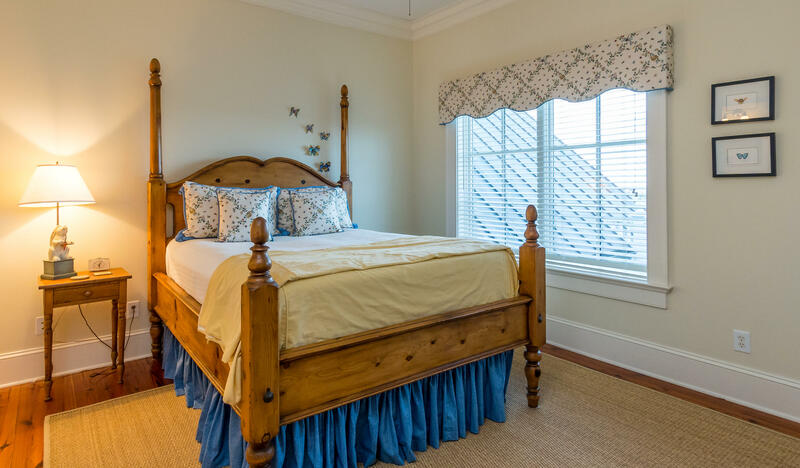 Finally, the master suite bedroom with walk in closet, private deck, screened in porch, sitting area and fireplace outlined with Delft Blue tile from Holland finish the main living floor. 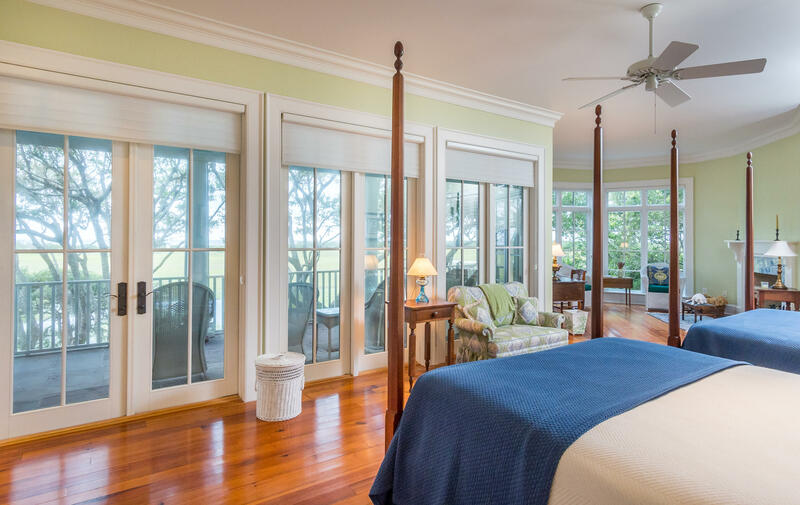 Five of the bedrooms have their own full en suite bathrooms and three bedrooms have private decks. 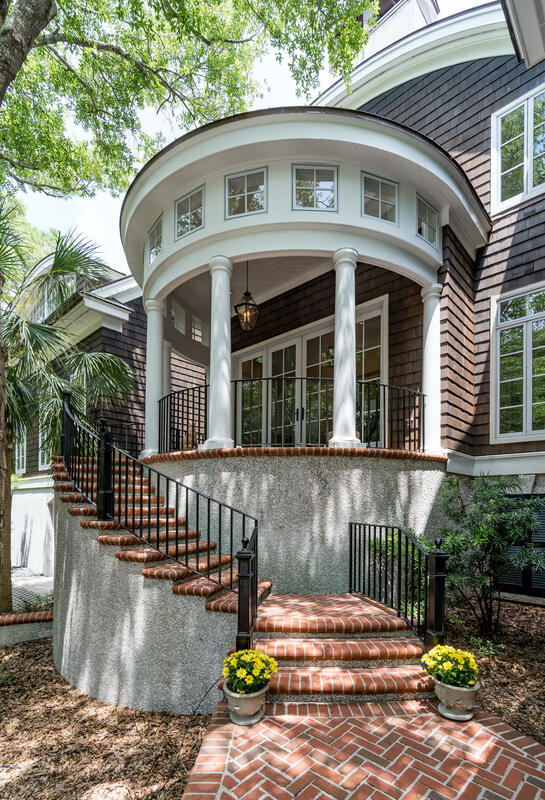 The master staircase or elevator leads to the second floor, consisting of four bedrooms with two private decks, linen and storage rooms. 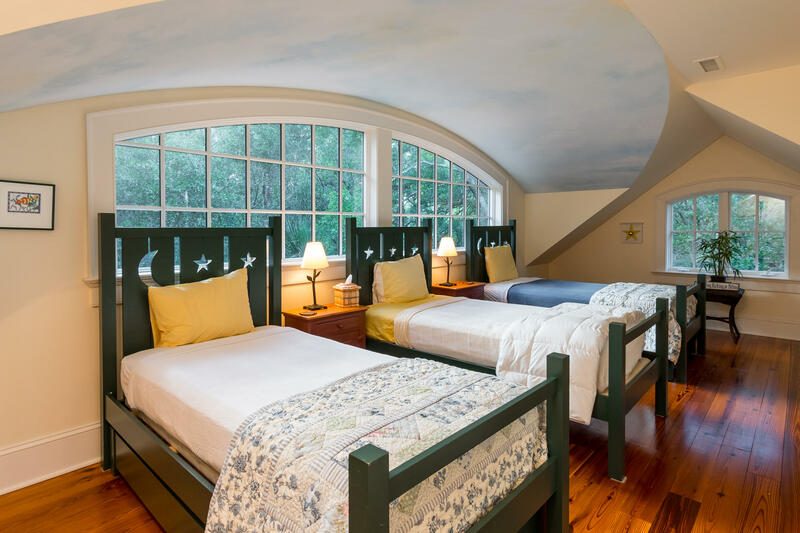 Two book nooks overlook the living room. 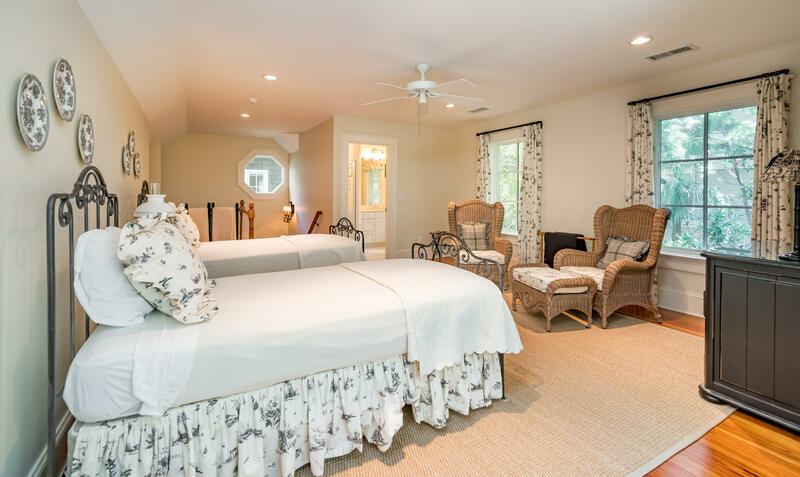 The ground floor gives private entrance to a play/fitness area, elevator, wine cellar conversion room, utility systems access, three car garage and an over the garage bedroom suite. 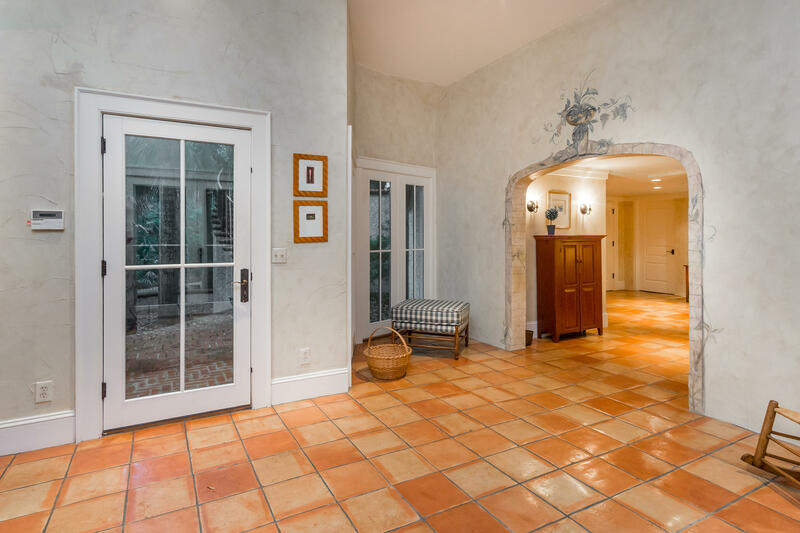 The lower ground level has a large utility room and separate garage entrance. 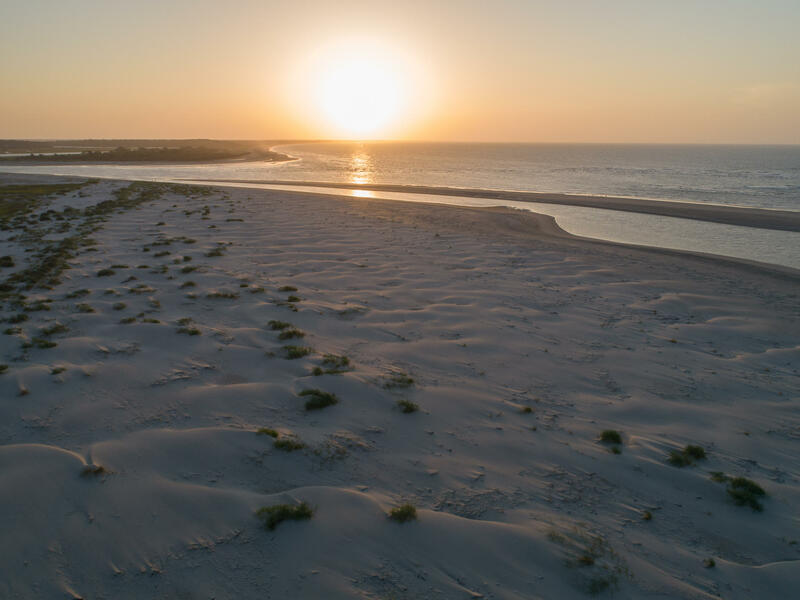 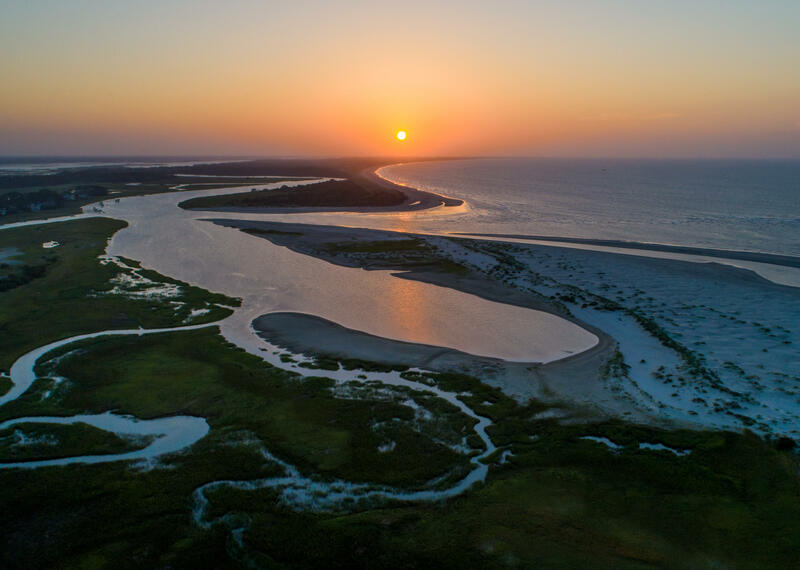 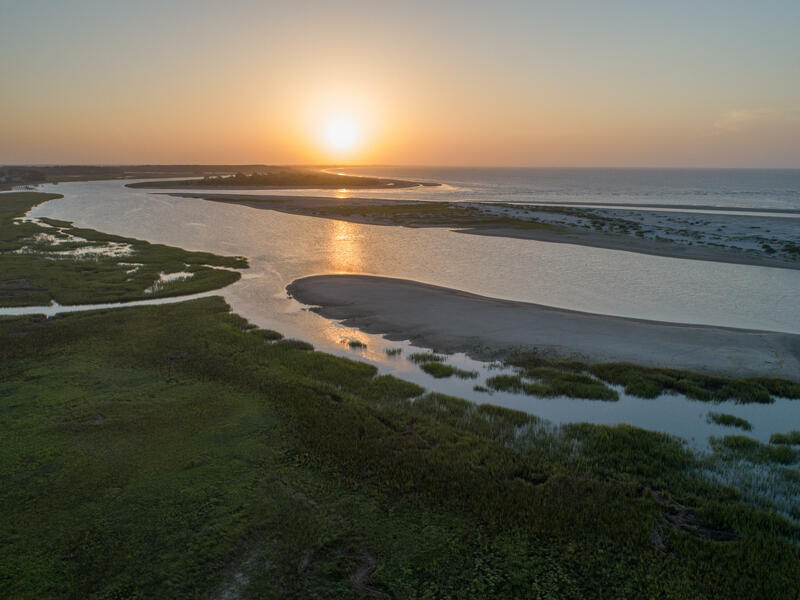 The Seabrook Island Club includes multiple pools, dining and banquet facilities, two golf courses, tennis and pickle ball courts, oceanfront restaurant & bar and community buildings with fitness facilities. 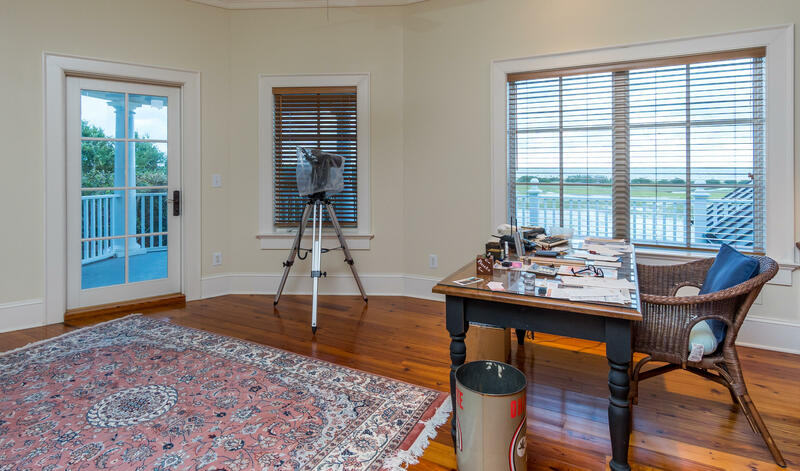 The Seabrook Equestrian Center is also a unique feature for residents and guests. 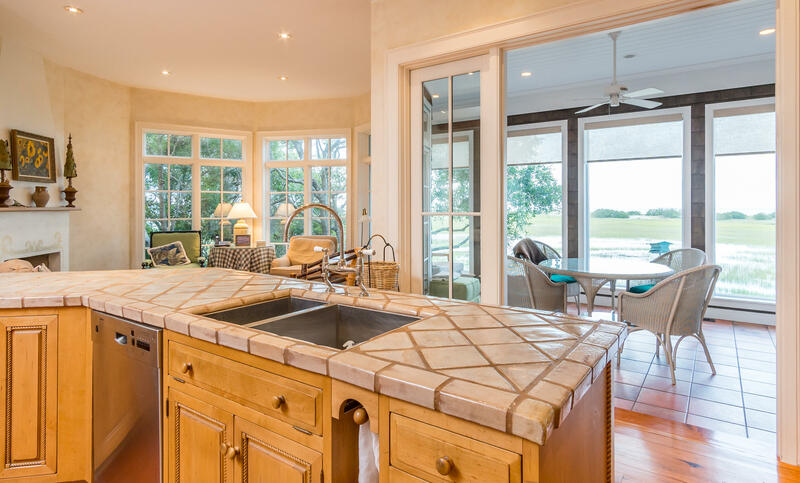 Request an extensive list of upgrades and features from the agents.